Release date : May 3rd, 2019. The idea for the title comes from a series of dreams I had when I was a child. I spent a good amount of time staying at my grandmother’s apartment on Orange Grove behind that decrepitly charming Oki Dog stand on Fairfax. My life at home was often filled with family tensions and staying at my grandmother’s place felt like an opportunity to escape to somewhere comforting. I can recall having a series of dreams over a two week period while staying at her place, where I taught myself to fly. At first I was in a training mode of sorts and could barely hover for a few moments. As the dream would recur I began to develop my aerieal skills and before I knew it I felt like a superhero that could soar over the seemingly infinite city light of Los Angeles. Ben Davila and I both grew up in Southern California and even lived in Santa Barbara during the same time. However, our first encounter wasn’t until many years later when we both were living in the northwest of England while attending the Liverpool Institute for Performing Arts ( Paul McCartney’s former high school.) I was studying Sound Technology and Ben was studying music.We became fast friends and around the spring of 2001 I asked if I could produce some of his demos for class projects. Years later we both happened to become music educators after moving back to the states. Ben put out a wonderfully charming record in 2013 called Ben Davila and the Spectacles. I hit him up and asked if I could remix a song from the album called Stars. I remember starting the remix and then abandoning it after hitting a wall and not knowing where to take it . For one reason or another I returned to it some years later while digging through half finished projects on my hard drive. I had recently borrowed an omnichord from my friend Esthero and bought a cheap boss digital delay pedal from my friend Bizzart. The combo of the two bits of gear is so fun and playful and really helps bring some life and movement into the song. I remember playing an early version for Esthero . She said something like this is beautiful and I think it might sound great if I added some subtle background vocals. She recorded and promptly sent over the back up vocals and it really made the chorus pop out . My friend and frequent collaborator Zach Bilson came through and added some tasteful electric guitar riffs and the whole thing sort of took on a new life. The result is the first single from my new E.P. on Plug Research called The Practice of Human Flight. I met K.C. ( Adult Karate) in Los Feliz on a Tuesday night in Los Feliz about two years ago. A group of friends met to have coffee on Vermont. We began to chat about music over slices of cherry pie and luke warm diner coffee. After discovering a shared appreciation of Ableton Live, unpopular European composers and David Lynch we decided to follow each other on Spotify. I had just released an Album called Cloud Forms and K.C. had put out LXII . We both happened to listen to each other’s work on our rides back home. I was in the process of putting together songs for my new ep. I asked if he would consider collaborating on something. I sent him a link to four or five instrumentals that same night and within two days he sent me back the vocals for what would become Broken Pieces. It was one of the most natural and almost effortless collaborations I have been a part of.I had recently bought a new laptop and I can recall starting the instrumental with my computer in bed and using a bunch of Arturia soft synths that were unfamiliar to me at the time. It was a really fun one to create and reminded me of the sort of naive exploration of sound that got me hooked on creating stuff in the first place.Im so glad this song is on the record and I look forwards to creating more music with KC in the future. I was able to contribute to his last record with a piece of music I wrote and the result became Palisade from his Del Mar album on Plug research records. I met Coley up in Seattle a couple of years back . The first thing I noticed about her was this really rad western shirt she was wearing ( she quite possibly completed the look with a bolo tie.) I was wearing a Black Sabbath t shirt and we complimented each others shirts. At the time I was working for a company that brought music production education into high schools and after school programs and I was in Seattle to help set up the public library in Bellevue with little production stations with Ableton Push controllers, a laptop and interface. Coley works at that library and we just sort of hit it off. In addition to setting up the workstations I was speaking on a panel and sort of demoing the gear as part of the idea x makerspace festival. I remember seeing Coley perform with her band and then offering up homemade baked goods to the crowd. This was the icing on the cake ( pun sort of intended , after the fact) . After getting back to LA I shot her message on IG with some links to my work and asked if she would be involved in the EP. She agreed and sent over the vocals and guitar parts to what has become Orange Strange. The song is a bit more driving and perhaps slightly more aggressive than the other songs on the record.It was one of the first things of mine that my friend and collaborator Erinn Bone played trumpet on as well. I think it gives it a touch of flavour like a drop of tapatio and a squirt of lime on a ceviche tostada. I first became aware of the Munich based singer named Enik from his appearances on Funkstorung’s Disconnected album. The album had a major impact on me and I was completely intrigued with how dynamic, emotive and unusual Enik sounded. We began chatting online about art and music . He recommended that I read Demian from Herman Hesse and I thought he would dig on The Book of Disquiet from Pessoa. Our song didn’t actually come together as easily as some of the others on this album. Enik was busy working on various projects including an opera and his next solo album and I was teaching at a music production college in Burbank. After sitting in on a series of songwriting classes from my dear friend and co worker at the time ,Slow Shiver, I began to explore writing more traditional almost ballad type instrumentals as an exercise in composition. One of these pieces of music became the springboard for my song with Enik. I kind of always wanted to sound like a band but I grew up with a sampler making hip hop beats and trip hop songs. Composing in this new way ,in front of a keyboard with chord progressions and deliberate melodies, was really satisfying to me . Enik’s lyrics and delivery are so sad and emotive and offer such a unique voice to balance the tone of the music. My friends Zach and Erinn came through with acoustic guitar and trumpet embellishments respectively and really helped bring this song to life. Wasteland ends with the Enik letting the phrase “Not a waste, Not a waste, all good Im ok” slip out. It felt like the perfect way to close out. The Practice of Human Flight is Christian Gibson’s first record on Plug Research, but certainly not his first album release. He had already been in love with making music by the time he moved from Southern California to Portugal as a sophomore in high school, but it was there that he began to truly expand his tastes and broaden his musical palette. This collaborative album explores themes such as dreaming, the idea of the afterlife and the ambiguous fleeting nature of feeling anything at all. Living and studying in Portugal, Christian linked up with an international crew of artists such as Nastio Mosquito, Existereo and She’s Not Real. It was there that Christian began to refine his skills as a producer and performing artist. After graduating from high school near Lisbon, Christian embarked on a four-year journey to England where he studied Sound Technology earning a BA Honors at Paul McCartney’s former alma mater, now the Liverpool Institute for Performing Arts. In addition to putting in hundreds of hours in the studio, it was during this time that he began perform, both as a solo act and as one half of the Whyknows. In 2010, Christian – along with William Hasselberger – released Islands & Kingdoms under the moniker Ex Patriots. The album was released digitally through Dead Guy records, an imprint of Alpha Pup. This collection incorporated dream-like soundscapes, a raw blend of recorded instruments and sampled material and featured guest vocals from K-the-I?? ?, Candys 22 and Mestizo. 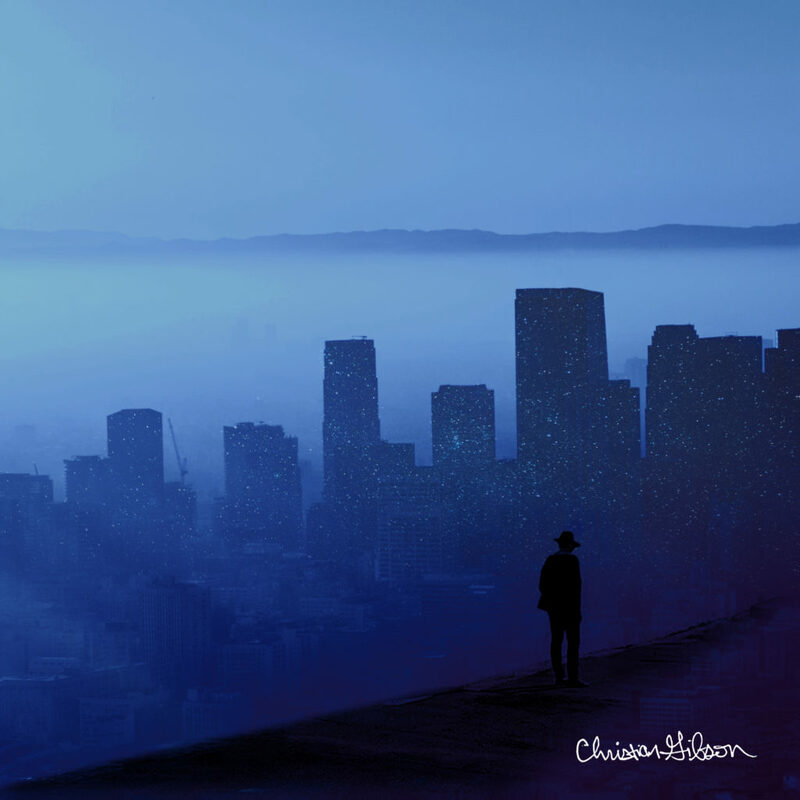 Know Ghost, a folktronica duo from Los Angeles, was Christian’s next project. A self-titled EP was released in 2012 and featured haunting guitar ballads and sparse electronic flourishes to support the mesmerizing vocals of bandleader Jillian Leigh. Her untimely passing left a lasting impact on Christian as well as on all that knew and loved her voice, uncanny sense of humor and larger than life spirit. A re imagined and reinterpreted version of these songs will be coming out in the fall of 2019. In 2013 Christian began working with a colorful Los Angeles psychedelic rock band named Nacosta. A year later they released their debut LP, Under the Half Moon. Christian handled synths and percussion on the record as well as taking on mixing and mastering duties. Subsequently, Nastio Mosquito, a well-respected performance artist, singer and poet, recruited Christian and his old band mate William from the Ex Patriots, to arrange and produce his solo debut album entitled Se Eu Fosse Angolano. This project was particularly interesting not only because of the wide range of African instrumentation that seamlessly blended with the Ex Patriots signature sonic stamp, but also because of the nature of the recording itself. Nastio emailed his notes, along with vocal and musical takes from Luanda, to Christian and William who worked hard writing and reinterpreting these ideas in their Hollywood recording studio. The entire album was made through this international exchange. In 2017 Christian put out an ambient collection of instrumentals called Cloud Forms. This marked a significant stylistic advancement in his compositions and played more with tone , texture and harmony than many of his previous works. Most recently he has contributed production to the song Palisade from Adult Karate’s Del Mar album. He also released a single with Slow Shiver called Tethered. Christian wrote the music for and co produced Esthero’s latest single Baby Steps which was released in February of 2019. Make sure you experience Christian’s current record,The Practice of Human Flight. It features an eclectic variety of guest vocals from Ben Davila, Adult Karate, Coley Mixan and Enik. It will certainly be the first of many innovative Christian Gibson releases to come.